Map of Public Lands for Deer Hunting. 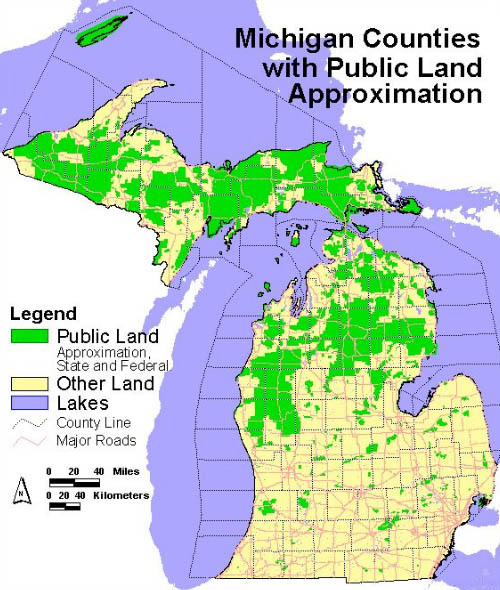 Also see DNR Public Hunting Land By County! Deer Car Accidents in 2008. 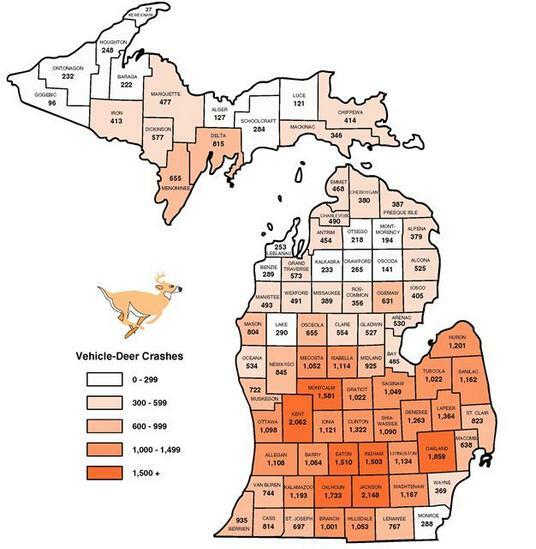 In 2015 15.82% of all Michigan car accidents were vehile - deer related. See the Michigan Deer Crash Coalition and Michigan Traffic Crash Facts for more information..
Also see database of deer accidents by Michigan County. Michigan whitetail deer generally weigh between 125 to 225 pounds. In 2014 there were 45,690 reported car-deer crashes in this state. Hunters harvested about 329,000 deer. Harvest declined significantly by 15% from 2013. Statewide, 41% of hunters harvested a deer in 2014. See the 2013 MICHIGAN DEER HARVEST SURVEY REPORT for more information. See how the Michigan DNR manages deer throughout Michigan.